It’s one thing to hop on your bike and go for a ride, but it’s an entirely different experience to sail along well-sculpted routes that carry you along a magical journey. 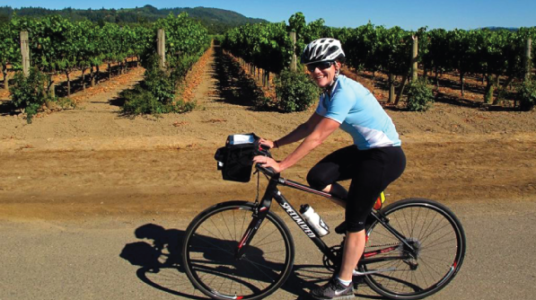 That wondrous experience is what you will be treated to on the Harvest Century, a ride well known for having incredible routes and top notch support. The excursion takes you through the quiet farmland on the fringes of Hillsboro, past fields of dahlias resplendent in vibrant beauty and across the Canby ferry for a mini nautical adventure. The lively finish line party is in the heart of Historic Downtown Hillsboro – directly in the middle of Main Street with live music and a tasty end-of-summer BBQ.